Because of the increasing intensity of air-raids, “Elbe II” was used for fitting out boats, new ones and those having happily returned. Two shifts were covered by 200 yard-workers, mostly Germans. 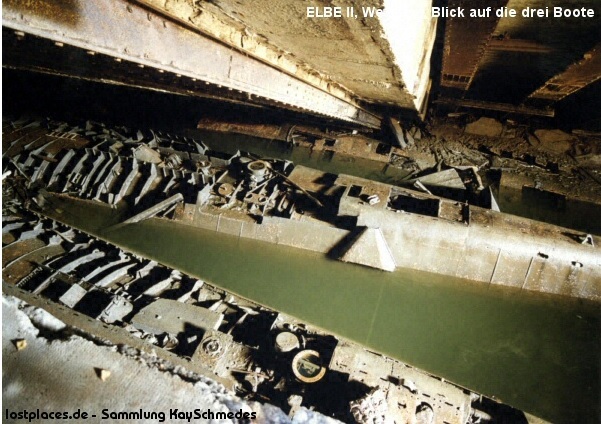 The last boats to enter “Elbe II” were also the most modern ones in the world – the typeXXI-boats U-2505, U-3004 and U-3506 which had an estimated dive-depth of 400 m.
They had to undergo last works before setting to sea with the planned destination of Caribbean. 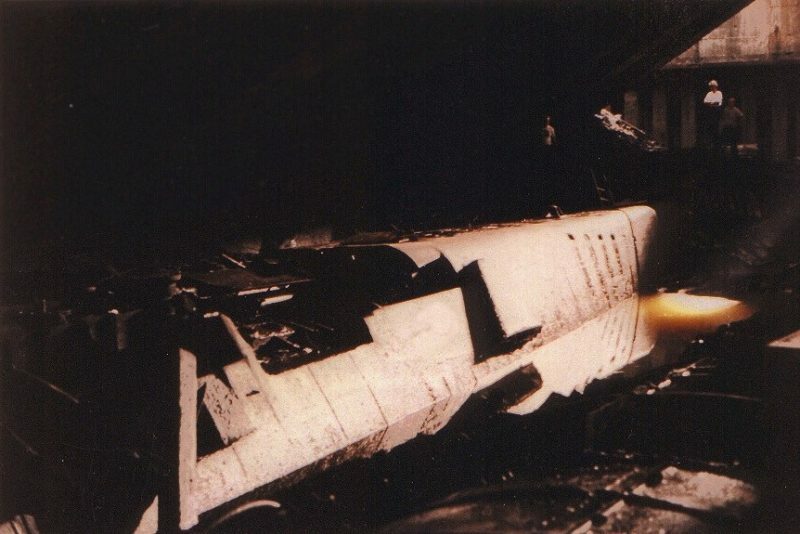 U-2505 had already suffered bomb damage during an air-raid before, and also U-3004 suffered from a mishap during a test-dive. Most of the crew members left between April 15th and 17th 1945 to fight, far away from the sea, against British troops in the Lueneburger Heide, not too far away. 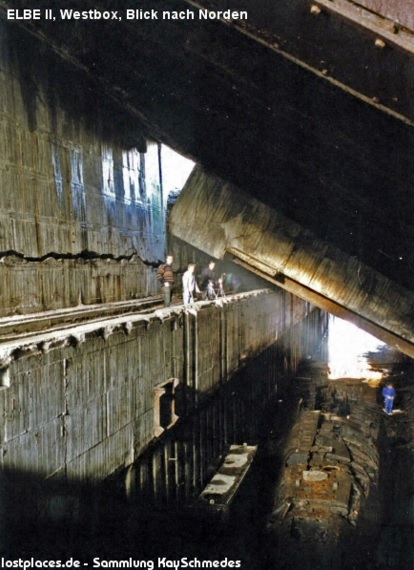 Remaining crew prepared the self-destruction of the boats in the beginning of May. 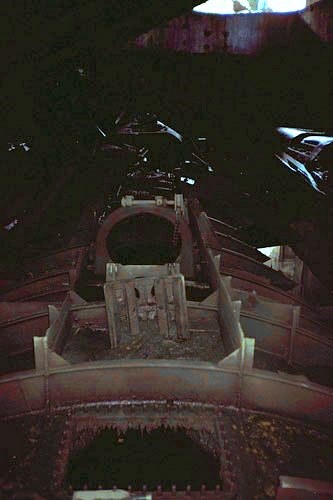 Meanwhile, the bunker-gates had already been destroyed during an air-raid on April 8th, and several hits had damaged the roof. 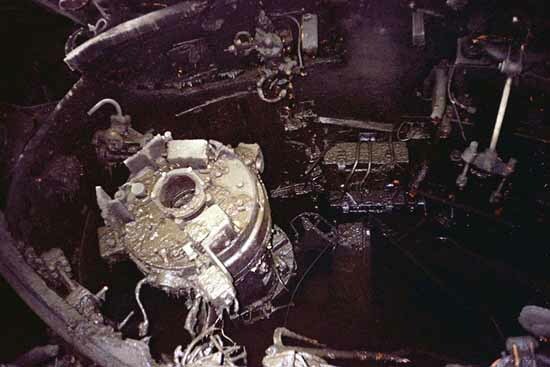 In the evening of May 2nd the boats were filled with explosives like dynamite and depth charges. 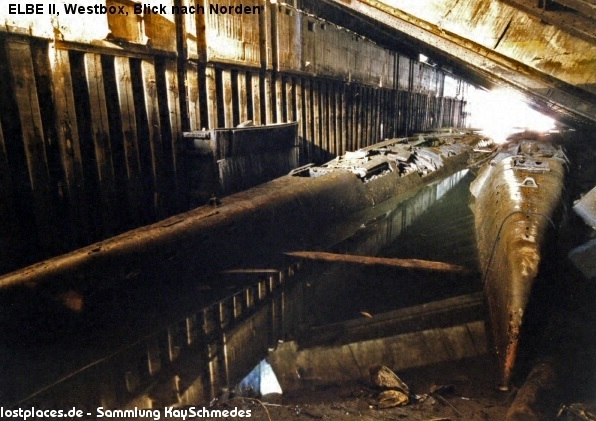 A fourth boat, the XXI-type U-2501, was lying with only its bow inside the shelter, as did the half completed VIIC boat U-684. The last boat to be sunk was U-2501 on May 3rd 1945. 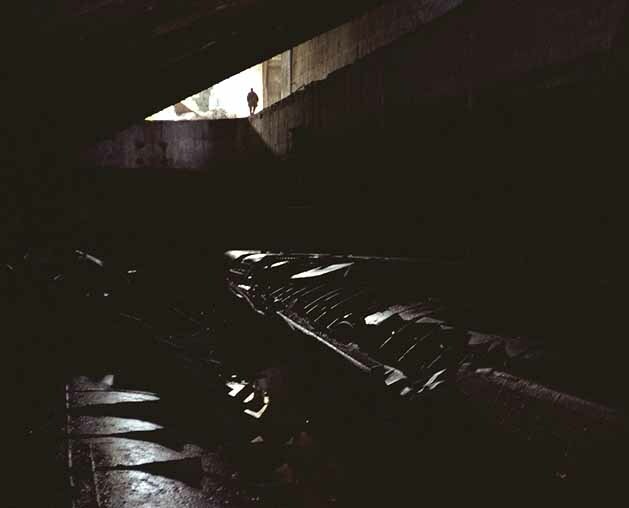 The British came and blew up the bunker and the roof partially collapsed, trapping the boats. Someone made an attempt to scrap them in the ’40s-’50s, but it was too dangerous, so they stayed somewhat intact until the ’90s. The German govt. finally filled the bunker with gravel and concrete and buried the boats, then turned the area into aparking lot. Thank God a bunch of those XXIs didn’t get loose during the war. It may have prolonged the slaughter until the atomic bomb could have been brought to bear against Germany. They managed to get one on combat patrol right at the end, but were ordered to stop hostilities and they never launched an attack. 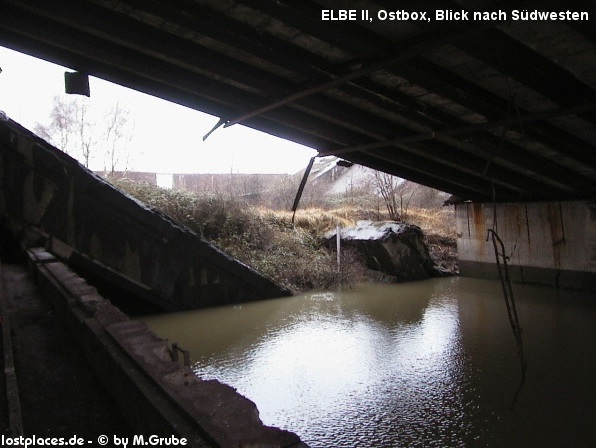 The Elbe II bunker is located on the southern bank of the Elbe river at the Vulkanhafen. 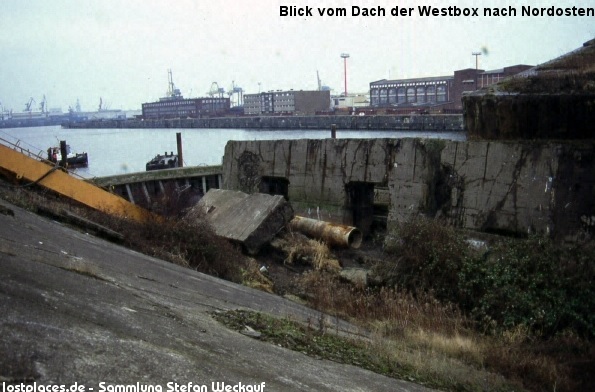 The mid-1930s saw the Naval Construction Office in Berlin give the problem serious thought. Various factions in the navy were convinced protection for the expanding U-boat arm was required. 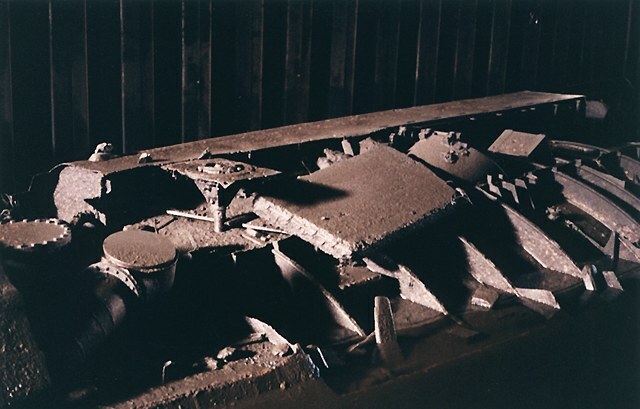 An RAF raid on the capital in 1940 plus the occupation of France and Great Britain’s refusal to surrender was enough to trigger a massive building programme of submarine pens and air raid shelters. 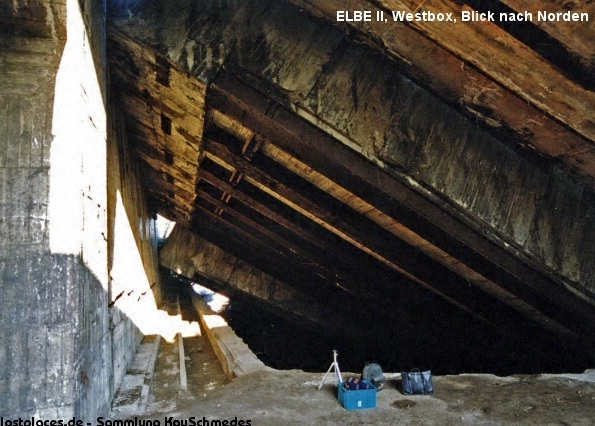 By the autumn of 1940, construction of the “Elbe II” bunker in Hamburg and “Nordsee III” on the island of Heligoland was under way. Others swiftly followed. It was soon realised that such a massive project was beyond the Kriegsmarine, the Todt Organisation (OT) was brought in to oversee the administration of labour. The local supply of such items as sand, aggregate, cement and timber was often a cause for concern. The steel required was mostly imported from Germany. The attitudes of the people in France and Norway were significantly different. In France there was generally no problem with the recruitment of men and the procurement of machinery and raw materials. It was a different story in Norway. There, the local population were far more reluctant to help the Germans. Indeed, most labour had to be brought in. 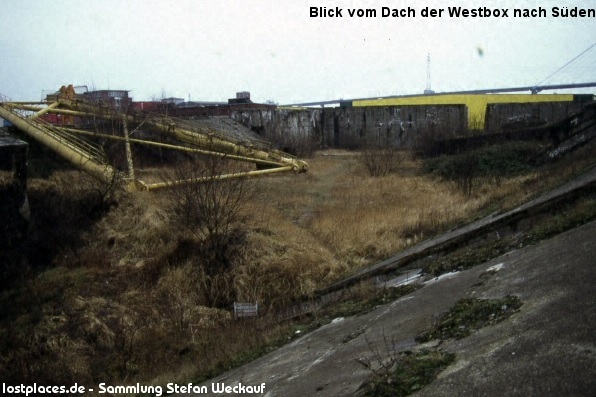 The ground selected for bunker construction was no help either: usually being at the head of a fjord, the foundations and footings had to be hewn out of granite. Several metres of silt also had to be overcome. 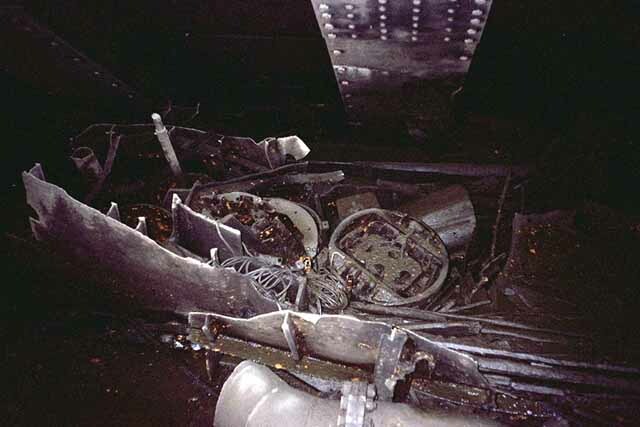 The incessant air raids caused serious disruption to the project, hampering the supply of material, destroying machinery and harassing the workers. Machinery such as excavators, piledrivers, cranes, floodlighting and concrete pumps (which were still a relatively new technology in the 1940s) was temperamental, and in the case of steam-driven equipment, very noisy. 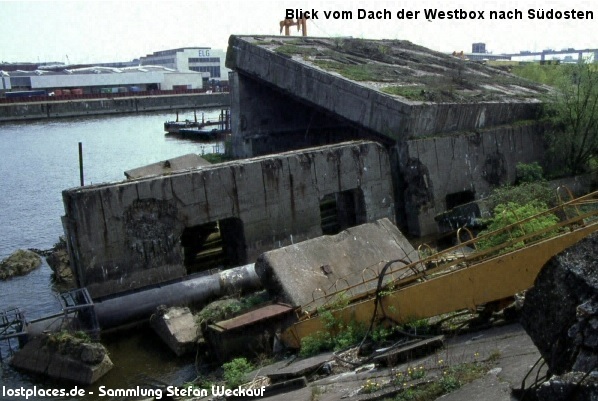 Bunkers had to be able to accommodate more than just U-boats; space had to be found for offices, medical facilities, communications, lavatories, generators, ventilators, anti-aircraft guns, accommodation for key personnel such as crew-men, workshops, water purification plants, electrical equipment and radio testing facilities. 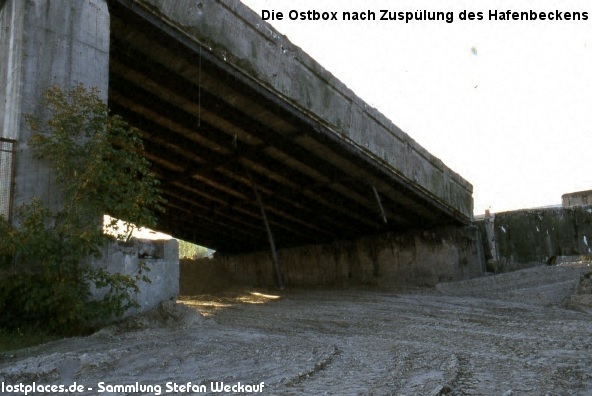 Storage space for spares, explosives, ammunition and oil was also required. There is no truth in the rumour of an underground bunker on Fuerteventura in the Canary Islands. This ‘story’ was gleaned from a similar situation in Le Havre in France when captured U-boat men were interrogated by the British.